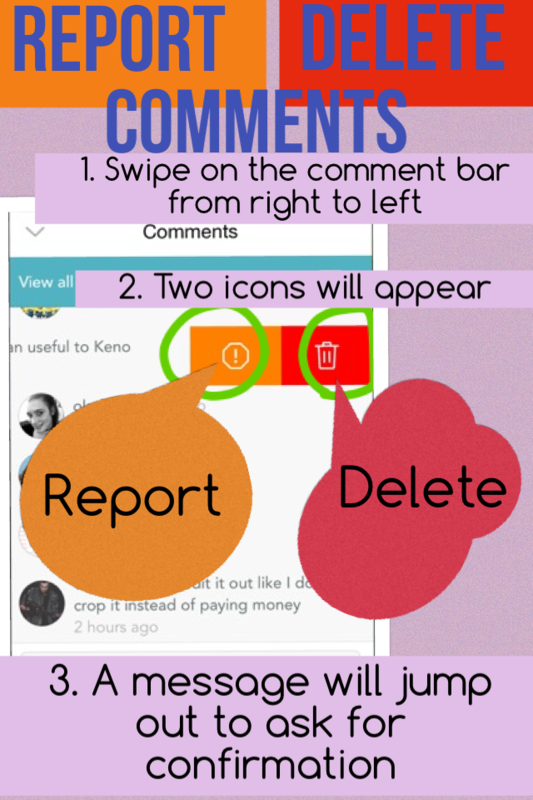 To report or delete a text comment, please swipe on the comment you want to report/delete from the right to the left. For the owner of the collage or the person who wrote the comment, you'll see two buttons. The orange one is for reporting while the red one is for deleting. For others, you'll only see the report button. If you find the comment inappropriate, please report it to us and we'll review it.